Best to show only craven humility, Ryel thought, so he kept his head humbly down, ignoring legs gone numb under him and shoulders aching with a pulling that ran down his spine. "Fool," he told himself, "to hope." But it was there all the same, a heavy knot in his breast, while they argued his fate. One of the new king's lairdlings said in a voice gravely after the long battle, "It has always been our custom to acquit the proletariats." “No common man, this,” the new king snorted, pacing away and back again, finally stopping before him. Ryel knew what the king looked on, a clansman who had served his lineage laird with zeal and honor, a soldier stripped of all soldiery garb, bound and kneeling on the trampled grass. An evening breeze ruffled the new shorn hair at the nape of his neck, his clansman's braid decorating some victor's belt—a reminder, that, of the bitter day. He retained one satisfaction in his soul beside the bitterness in his heart of earth turned red with clansmen's blood in a battle gone all wrong. His dead laird's sire, mortally bleeding, had hugged his hand and kissed it. "I am spared the traitor's cursed blade," the old king had said weakly but with a smile. The traitor, this new king, remained a while longer, hands on hips, scowling over him. This king, new crowned on the battlefield, said bitterly to his co-conspirators, "This man nearly stole our victory. Surely, he cheated us of its trophy. Yet, you are arguing exoneration." "But they are witches, sire," the lairdling protested. The king glared at the man they had thrown on the grass before him. "The witches’ claim may be in question in our minds,” he said dispassionately, “but I dare not willfully defy them in the realm of their power. One brave man for a kingdom, as the contract was struck." "The one bravest man," the witch reminded them, striding in among them from the gathering darkness, leading behind her a black horse. She threw back the black hood of her cloak. The firelight ran copper over her hair. She was tall as a man. Her eyes were yellow and her face beautiful and prideful. She approached the captive where he knelt and raised his face upon her hand to see him better. Looking into her eyes, Ryel felt he should know her but could not quite remember, puzzlement shadowing his face. "You think you know me?" she questioned softly. "I tell you this, human, I know you. Wrap yourself in your bravery. It is that attribute that will sustain you through to the morrow. Before this night is finished you will not forget me." The witch turned to the king. "Your debt is paid," she announced plainly. "You have three days to bury your dead, collect your scattered men and be gone from this land to your own." With haughty arrogance, she turned her back on the new king and his chiefs, pulled Ryel to his feet, and pushed him into the saddle. Only the fire protested, spitting angry sparks at the sky as the witch led the black horse into the deepening dusk. Ryel did not look back. He would not have them know he was afraid. At a casual pace, the witch led the horse up and down the hills. But the easy gait of the saddle seemed a fallacy when the witch's copper hair flowed in streamers behind her on an unfelt wind and the wild landscape galloped by the trailside. Reality and time lost their continuity. The land faded to dark but never gave up its color, and the sky went from dusky evening to a sapphire night. The evening star chased a moon that never climbed from the horizon. Together they sailed, instead, around the land's edge, east to west in an endless circle, each trailing watery light as if comets. Fatigued and rocked by the rhythm of the black horse, Ryel fell to dreaming dreams in which battle cries and the wailing of death haunted him. His forfeited mail weighted his sore shoulders and his lost helmet rested heavy over his brow. “Fate has turned against us,” Laird Bryant rasped angrily and choked up blood. “The battle has gone amiss, lad. Save the king, if you can,” he enjoined passionately, “but after this terrible day I think there will be a new king.” Then Laird Bryant died, breathing his last in Ryel’s arms. In his dream, Ryel laid his laird on the bloody earth for a second time and took up his laird’s shield and his own sword that was slippery with blood in his fist. He swung onto the back of his clan chief’s war-horse. It was fractious under his unaccustomed hand, snapping at passing horses and men alike, but turned eagerly onto the fighting field. A flash of sunlight on the royal standard drew Ryel to the heart of the fighting. He called his clansmen to follow. Parrying and thrusting the while, he led them into the hell of battle. They cut a swath toward the central banner. The clamor of arms and shrieking of steel along steel was deafening. Screams of death and terror were all around them. The enemy’s banners fell before them, only to be taken up again in desperation and driven forward. Ryel turned his laird’s stallion with his heels. He raised his sword, parried, turned his blade to take a killing swath. Suddenly, the horse skidded onto its hunches, waking him. He jerked up his head. A gasp of surprise that faded to a sigh of exhaustion escaped his lungs. They had at last stopped in a meadow surrounded by huge conifers more ancient than any in his own land. The moon bathed the meadow in a milky light from its station on the horizon. "This is my home," the witch told him and helped him from the saddle. While the witch pulled the saddle from the black horse, he looked around for a house, but there was none. Ryel rolled his shoulders to relieve the aches and strain. His hands had become numb from the bindings. The witch touched the cords that bound him, and they fell away. "Come," she said, and led him into the meadow, where she took off her cloak and put it round his shoulders. It was thick yet without weight and soft as down. "It will keep you warm," she said, "while you sleep." "Yes," she smiled and with a touch light as moth wings she put her fingertips against his forehead. The aching and pain flowed from him, and he sank down asleep. When he woke, the moon had at last set. Overhead, the constellations had come out brighter and more abundant than he had ever seen them. The stars themselves reflected over and over in the dewdrops on a spider’s web that stretched from treetop to treetop, their sparkle running brilliant along the threads. Ryel struggled out of the warm cloak, blinking to clear away sleep, but his eyes had not deceived him. The whole of the meadow was canopied in a huge web, glistening with the starlight. At its very center was a large, black orb. The orb moved, unfurling legs to stretch on the web, shivering it, celestial light bouncing along the strands, dewdrops falling to earth like rain. Then the orb let loose and fell to earth at the end of a silk line, landing delicately on the grass beside him. He scrambled to his feet, the witch’s cloak tangling under him, bringing him down. The creature reached out and gathered him in, tucking him into a grating of its foremost legs. It was long as a man was tall, black of body and fangs. Its many eyes were yellow. Stiff copper colored hairs covered its legs and face and pedipalps, a frightening creature for all its fragile parts. With gentle strokes of sensitive palps, it caressed his face, tucking back the fiercesome fangs. Breathless and terrified, Ryel pinched shut his eyes. Its touch continued, light, shy, exploring, as if, despite its many eyes, the great creature was blind. Ryel dared not object. It explored further, moving down his body, a touching feminine and all too sensual. Suddenly it began to hum. A sound not unpleasant, like cords of harp strings. A ghost image formed on the retina of his eyes, the witch's face, arrogant and beautiful. He was so startled Ryel opened his eyes. "You," he gasped, not meaning to say it aloud. She hovered over him, black and copper, quivering with anticipation, threatening in her demeanor and character. "What do you want?" he demanded, his voice shaky and high even to his own ears. In answer the creature stroked him, and he understood all too well. Revulsion rocked his soul. Bile came thick in his mouth. In a rush of panic, he pulled himself from under her touch. Her fangs snapped down, their venomous points close and threatening. The coppery hairs on her palps and round her jowls bristled and quivered. He pressed himself to the earth, dared not move, barely dared breathe. A stretch of eternity he sweated in cold panic. The quivering hairs of her palps brush ever so lightly over his skin. He shivered at their touch but dared not protest or take his eyes from her. Gradually the creature relaxed, fangs drawing back carefully and palps touching him tentatively, and again the humming, very, very softly. Ryel lay still, learning to breathe again. Anger slowly replaced fear, anger growing unbidden, yet strong, anger that he survived a bloody day to come to this, anger for bargains not of his own making. A free man, responsible only to the pledges made his clan laird, had been sold for a throne. Against all good sense, he struggled to sit up, and the creature moved away and let him. He wrapped the witch's cloak about himself and demanded to know the whole of the bargain that had been struck. "You meddled in human affairs," he accused more heatedly than he intended. "You sold a thief a throne and for why?" "Our numbers have grown too few to save the weavings," she answered, as if that were all the explaining necessary. A long moment the witch studied him with her head to one side. "Despite what you think," she said solemnly, "it was a painful thing we did, to twist and misshape fate. Yet, by your own hand, your own turn of mind, did you come to be here. "It is true we manipulated the weavings in the fabric of humanity," she admitted, "so you could not escape those threads interwoven with your own. The pattern was designed to trap the strongest thread, but the choices that singled you out were of your own making, by your own devices did you resist our meddling and survive this bloody day when those around you did not." "Who are you?" Ryel demanded. "If there is more than one of you, do you not have your own name?" he asked. "Maephila. I am named Maephila," she replied, startled. "You are surprised I ask? It seemed only fair I know your name when you surely know mine." "Ryel," Maephila told him, a mocking smile in her eyes and on her lips, "you are named Ryel mac Blair of Clan Bryant. I know you well.” She pointed to the web over head. "Your thread runs through my weaving, and always you have chosen your own design, and the pattern you force into my weaving has not always been beautiful." "Tell me why I should do this act of insemination." She drew herself up straight, her mocking smile fading, arrogance stiffening the way she held herself. He smiled his own mocking smile and told her, "A certain amount of disdain comes with bravery." Some of the stiffness went out of her. "Always your own pattern...always.” Maephila waved her hand to include all the giants surrounding them. "These trees were planted the day I was born. I am the youngest. Only the true ancients remember when humanity came to be. Did you know," she asked, "that humanity was created out of Fate's ennui? Before humanity our weavings were without pattern or design, crude and ugly. Without the threads to the fabric, humanity is without principal or moral, narcissistic and iniquitous. By the threads we are bound together, interdependent. "Though our lives are long, many of us have grown old. A few have died. As our numbers diminish, humans in greater score wander with no hope, no thread to the fabric. Without care the weavings fray, the threads break and fly away on the winds. When your armies passed through into Oblivion, we saw a final solution." "You are telling me there are no males to proliferate your kind?" "My father was not a weaver," she told him curtly, "but he was the last of his kind. He went away after planting my trees. I do not know why he went away, perhaps to die. He was old beyond time when I was born. Men called him a god. We called him father, brother, uncle. I have never known his true name." "Hearing this, what am I to say?" Ryel asked. "That I acknowledge this bargain you made with enemies of my laird, who alone commanded my allegiance, when his blood and the blood of my clansmen were forfeit in the doing of the bargain?" He filled and emptied his lungs very slowly, warm inside her cloak and still he shivered. "Are you cold?" she asked in earnest concern and laid her hand on his shoulder. He shrugged off her touch. She frowned. "You think I will make so poor a lover?" "You are a spider," he accused shakily. Maephila laughed. "You compare me to that little impostor?” She frowned in sudden understanding. "You are afraid of spiders. I thought I knew you well, but I had not known that." "Yes, afraid," he declared, "knowing my doom, seeing the creature of my death." Genuinely surprised, she asked, "Is that what you believe? Foolish man, there is no comparing. It has always amazed us you humans know so little about your own world and nothing of ours. Certainly, you do not know much about that impostor that inhabits both. Few spiders cannibalize," she said then stopped. She tilted her head in a contemplative way and suddenly smiled, not pleasantly but mockingly. "Of course, there are those few that do consume their proliferators," she taunted. "Where did they get such habits? After all, they are pretenders, much as you humans are pretenders to the gods." Affronted, Ryel frowned darkly, pride stung, and caution vanquished. "It is you who pretends," he declared angrily, "that I might equate a god's act. Tell me, Maephila, behind a witch's shimmering, which do Fates aspire, passive chroniclers or impassioned meddlers?" She sat very still, glaring at him. Her eyes changed in hue from yellow to golden umber to orcherous, and he knew he teetered on the edge of her tolerance. Bravery was one thing, bravado another. He had said too much, still, he refused to cower. He watched the witch's expressions through anger and haughty arrogance, until cold disdain crossed her beautiful face. She raised up her hands and snapped her fingers, and the spider crouched over him. Not wanting to see the creature she had become, Ryel crossed his arms onto his knees and put his head against them. The spider stroked his hair to mock him, and though he wished it not, he trembled. She hummed to him her deep reverberations till they vibrated in his marrow and his soul, and he became lost. The sun woke him. It had risen over his toes and the treetops round him. He was alive still to know the breeze ruffled his hair and to feel stiff and bruised from battle and other acts he refused to think on, so he let the sun's warmth seep into his sore body and let his mind run in circles. "Fate has turned against us," Lord Bryant had told him with his dying breath. Fate, what had he ever considered of fate, that one made his own fate? Meddlers, Maephila and her sisters, but he had made the choices, determining his own fate to be betrayed by humanity to be, in turn, its savior. Maephila, Maephila, tormentor and lover, the terror of her and the passion, both could devour him. Sanity was in another world, but that world was different today than it had been yesterday. Fated, bartered and witch-tainted, could he ever return to the world that birthed him? He sat up abruptly and the bed swayed violently, like a boat caught crossways in waves. He clutched the hammock's sides and gasped at the sight far below. He could see the whole of the meadow as if a quilt. Shadows cast by the great trees stretched across its flora-patched lawn. The ribbon of a stream laced one side. The black horse kicked up his heels in the open field as if a colt. Quickly the violent swaying of his bed abated. Still, it rocked lightly in the wind, and he dared not let go the side. The web of threads thick as ropes stretched out around him with the hammock strung to its warp lines. Under and over and on all sides the lacy patterns gleamed in the sunlight. He reached a hand out with care and ran fingers over the intricate weavings of the threads. "You slept well?" the witch called from a nearby tree where she sat at leisure on a branch as thick as his thigh. She leaned forward and looked down at the meadow. "I could lower you on a thread, if you wish," she said. "Or you can come to the tree by way of the warp lines and climb down." Her help or his courage, he shuddered at the thought of facing the creature in full light. "I will climb down," he told her and tucked up his legs to crawl out of the hammock. It swung and swayed with his shifting weight, and Ryel clung tight to the silken lines. Maephila stood, stepping from branch to warp line, she would come to his aid, but he took a breath to steady himself and stayed her help with an emphatic “no,” perhaps more emphatically than he intended, for she left him entirely to his own devices. Like a ladder, he descended tree branches to the ground where he found a fire burning in a hearth ring, hot water boiling in a pot. A mug of tea set out with bread and honey. He hadn't eaten since before dawn the day of the battle. Was it only yesterday he wondered when so many fell around him? Only yesterday Lord Bryant died in his arms? "Save the king, if you can," his laird had commanded. He had tried—in vain. The king, too, had died in his arms. He sat close to the fire ring, eating and sipping from the mug. His tongue did not taste the rich bread, or the sweet honey, or the robust tea. He ate because his body needed the nourishment, creeping across the web—even the climb from the tree had left him shaking with weakness. His attention instead was for the black horse darting in and out of dappled shade, playfully tossing mane and swishing tail on the wind. With a soldier's eye, he watched the animal, assessing its staying power, its speed and its willingness to be approached. "He will not allow you near him unless I approve," the witch said. He looked up at her with the half-forgotten mug in his hand, half a loaf of bread neglected by the fire. Her yellow eyes were more golden in morning light, and summer's copper was darkened to fall's amber within the plait of her hair hanging over one shoulder. She was strong and graceful, and to his chagrin, exceedingly desirable. She laid neatly folded clothes and a kit on the grass beside him and began steeping herself a mug of tea. He watched her at so homey a task in brooding silence, wanting to escape her and aching for her, and loathing himself for that desire. He looked away at the horse. "Will you allow it?" he asked, sounding desperate. "If you wish," she agreed gently and greatly surprised him. "Come and go where and when as you desire.” She tilted her head in that way of hers, sipped her tea and studied him. "Guilt is a powerful emotion among humans," she said at last. "Have you considered that you might not again be accepted among your own?" He shook his head. Not that he hadn’t considered the idea but that he was unwilling to acknowledge it. Maephila laid her hand on his shoulder. Unlike the night before, he did not shrug her off though he was aware she felt the tension in him. "What was done was done for the most good and cannot be undone," she said not unkindly. "Meddler, do you really know what you have done?" he asked. "Do I know, or do I understand?" she queried. "I do know, but as for understanding in the context of a human, no, I do not. I feel your human emotions, they are the patterns of the design, but I cannot understand them, much as I try. What I feel now is your sadness for what is lost." "But not lost to be found again," he said bitterly, keeping his temper in tight check. "You have no remorse, Maephila, you and your sisters. After all, what is remorse but a human emotion, just another pretty pattern among so many pretty patterns in a Fate's weaving?" She frowned at him, but he could not stop himself, he went on accusingly. "Emotions are not just pretty interwoven designs in a tapestry," he told her, "they are the very fibers that make the fabric." "You are insightful, Ryel mac Blair. That we appear insensitive is not that we are uncaring, rather our protection against being rendered incapacitated by a sea of human emotions. "You, man of Clan Bryant, despite your powerful emotions, have the strongest sense of self of any human in my keeping. When you are gone from the weaving, I will miss the twists and turns of your thread. Before that day, I hold to the hope that you will forgive us. Frightened by the deaths of our sisters, we may have done a selfish act. I would like to think not." She laid her hand over the gifts on the grass. "Clean clothes," she said, "and a kit to replace your lost one. Bathe in the stream, dry in the sun." "Meddling again," he said, smiling to please her. "You cannot resist.” He climbed to his feet. And she, too, stood up, picking up her offerings, things far finer than any he had ever possessed. He reached for her gifts and her fingers caught his and held them. "Maephila, what have we?" he asked, knowing that she knew. "We have made a son," she said proudly, "the final solution, who will, like his father, walk in two worlds." "What becomes of us, Maephila?" "I am your Fate," she answered, "your manipulator. Your lover, Ryel mac Blair, connected ever after by more than threads in a web." 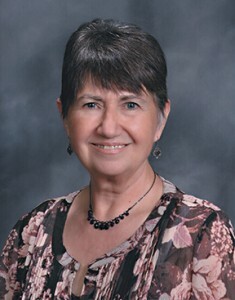 Judy Hurd is a writer from southern Oregon and a member of Willamette Writers. This story was published in an anthology of competition participants hosted by Gom Press, The Best New Sci-Fi and Fantasy for 2004. Lately. Ms. Hurd has turned to longer fiction; she just finished a novella and is working on a novel length Sci-Fi written from the alien's point of view.